NEW DELHI, India, June 5, 2018 (ENS) – World Environment Day, celebrated on June 5 each year since the United Nations established it in 1974, is not Earth Day, which started as a grassroots movement and environmental teach-in on April 22, 1970, but this year both special days have the same theme – eliminating plastic pollution. Each year a different nation acts as the global host for world Environment Day – this year it’s India. As host of World Environment Day 2018, India today launched an historic slate of activities from nationwide clean-ups, to single-use plastic bans across states, universities and national parks. For World Environment Day, the government of India says it will clean up 100 of its historic monuments, including the world-famous Taj Mahal. More than 3,000 World Environment Day celebrations are underway across the planet today. The World Environment Day theme for 2018, “Beat Plastic Pollution,” is a call to action, and it invites everyone to consider how we can make changes in our lives to reduce the heavy burden of plastic pollution on our natural places, our oceans, our wildlife, and our own health. While plastic has many valuable uses, we have become over-reliant on single-use or disposable plastic, with severe environmental consequences, says UN Sectretary-General António Guterres. Urging all stakeholders at both national and international levels to work towards betterment of the environment, India’s Minister for Environment, Forest and Climate Change Dr. Harsh Vardhan said that to India “Beat Plastic Pollution” is more than a slogan – India means business about it. Delivering the inaugural address of the State Environment Ministers Conference Monday in the run-up to World Environment Day, Dr. Vardhan said that environmental protection is not merely a technical, but a moral issue. 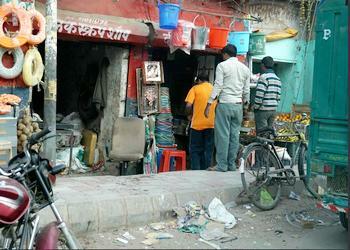 He pointed out that India generates 25,000 tonnes of plastic waste every day. 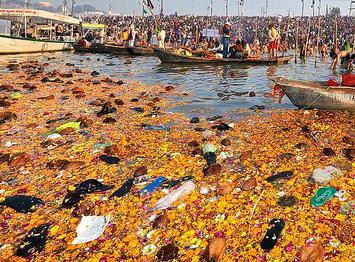 In India, 70 percent of total plastic consumption is discarded as waste. Humans have created 8.3 billion metric tonnes of plastics since large-scale production of the synthetic materials began in the early 1950s, and most of it now resides in landfills or the natural environment, according to a 2017 study by scientists at American universities led by the University of Georgia. Global production of plastics increased from two million metric tons in 1950 to over 400 million metric tons in 2015, according to the study, “Production, use, and fate of all plastics ever made,” outgrowing most other human-made materials. By 2015, human beings had generated 8.3 billion metric tons of plastics, 6.3 billion tons of which had already become waste. Of that, only nine percent was recycled, 12 percent was incinerated and 79 percent accumulated in landfills or the natural environment. If current trends continue, roughly 12 billion metric tonnes of plastic waste will be in landfills or the natural environment by 2050, the scientists estimate. Speaking to the state environment ministers, Vardhan asserted that there is no waste which cannot be transformed into wealth. He gave the example of a plant in the city of Kashipur, where 10 tonnes of biomass has been converted into 3,000 liters of ethanol. The environment minister called on the developed world to provide technology, funds and research results to solve this environmental problem. He asked the state environment mininsters to inspire people to take up Green Good Deeds and build small, social movements. “If every Indian adopts one Green Good Deed per day, a revolutionary change can be brought about in the nation,” Vardhan urged. Addressing the gathering, Erik Solheim, executive director of United Nations Environment (UNEP) pointed out that in India efforts are needed not only from the government side, but also from the people. 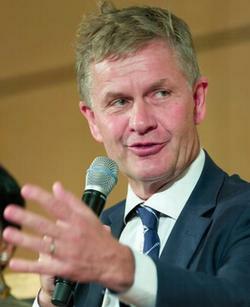 “We need to make environment a citizen’s issue,” Solheim said. The senior UN representative felt that universities should form rules and regulations for students to follow environmental norms. He said that UN leadership will help take Indian practices to the world. “India has demonstrated the magnitude of what is possible when leaders, individuals and businesses come together to tackle a challenge – even one as great as plastic pollution,” said Solheim. The first-of-its-kind accounting finds governments are increasing the pace of implementation and the scope of action to curb the use of single-use plastics. “Single-use Plastics: A roadmap for Sustainability,” is a global outlook, developed in cooperation with the Indian Government and the Ministry of Environment, Forest and Climate Change. It presents case studies from more than 60 countries. Among the recommendations are specific actions policy makers can take to improve waste management, promote eco-friendly alternatives, educate consumers, enable voluntary reduction strategies and successfully implement bans or levies on the use and sale of single-use plastics. 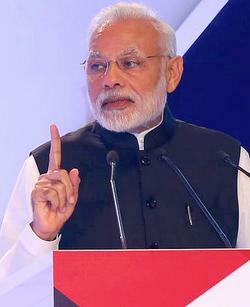 The report was launched in New Delhi today by Prime Minister Modi and Solheim on the occasion of World Environment Day. Latin American countries are abandoning plastic bags as their contribution to clearing single-use plastics from the environment. On May 30, Chile became the first South American country to approve a nationwide ban on single-use plastic bags. The ban will come into force in one year’s time for major retailers and in two years’ time for smaller businesses. “Today we are more prepared to leave a better planet to our children, grandchildren and the generations to come,” said Piñera. Several other countries and cities in Latin America and the Caribbean are using taxes, bans, and technological innovation to restrict the production and consumption of plastic bags and reduce their harmful impact on oceans and marine species. The region’s three biggest cities – Mexico City, São Paulo, Brazil and Buenos Aires, Argentina – have also joined the fight against plastic bags. In August 2009, the Mexico City city government reformed the Solid Waste Law and prohibited stores from dispensing bags free of charge. Buenos Aires went a step further. Starting from January 1, 2017, all of the city’s supermarkets were prohibited from using or selling disposable plastic shopping bags. 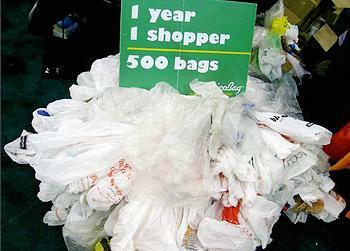 Before the law, 500 million plastic bags a year were used in the city. In São Paulo, the government approved a law prohibiting the free distribution of plastic bags in shops in 2011. But the measure was suspended for years due to legal claims, until its implementation was endorsed by the Brazilian justice system in 2015. According to data from the City Council of São Paulo, the consumption of disposable bags was reduced by up to 70 percent during the first year the law was implemented. The UN estimates that the world consumes each year up to five trillion plastic bags, mostly made of polyethylene, a low-cost polymer derived from petroleum, which takes at least 500 years to degrade. Copyright Environment News Service (ENS) 2018. All rights reserved.